Documentaries are a medium often overlooked by audiences as well as critics. Yet year after year, some of the richest cinematic works have been documentaries, pushing the boundaries of cinema and asking profound questions that prove that sometimes reality really is stranger than fiction. Monumental is a word that doesn't quite do justice to Claude Lanzmann's The Last of the Unjust, a gargantuan, 3 1/2 hour documentary about Benjamin Murmelstein, the last surviving Jewish elder of the Theresienstadt ghetto. Lanzmann is most famous for Shoah, considered by many to be the definitive documentary chronicle of the Holocaust. In The Last of the Unjust, Lanzmann focuses on one man, using interviews he shot with Murmelstein in the 70s to give us a stunning inside look at the ghetto from the very man who was in charge of it. Murmelstein is an erudite and often aloof figure, not unlike Donald Rumsfeld in Errol Morris' The Unknown Known. His justifications for his actions are passionate but his chronicles of the mass murders enacted on the Jewish people seem detached and clinical, he is a man focused on the details of the running of the ghetto rather than their human impact. Was he a hero who protected his people, or a traitor who collaborated with the Nazis? Lanzmann allows us to make up our own minds, meditating instead on the moral complexities of an atrocity we only thought we understood. An essential document of one of humanity's darkest periods. "Truly I tell you, whatever you did for one of the least of these brothers and sisters of mine, you did for me." - Matthew 25:40. A North Dakota pastor opens up his church to an influx of desperate men, homeless and seeking a job in the newly booming oil fields. But fear of these strangers soon turns the tiny town against the pastor's quest to give these men a second chance at life, turning what was once a man's simple desire to help "the least of these" in Christian love into something much more. Even when the film takes a surprising 3rd act turn, director Jesse Moss keeps the focus profoundly human. This is a powerful and complex exploration of human goodness and human fallibility, even in the pursuit of carrying out Christ's mandate on Earth. A startling and haunting look at Donald Rumsfeld's tenure in public office, mainly his time as Secretary of Defense during the Iraq war, the film puts the controversial figure in the spotlight, telling his story in his own words. It's a fascinating look at a man who seems to have worked so hard to twist words and logic into a brilliantly convoluted justification of his own actions. What's most frightening is when his words actually make some sort of twisted sense. Rumsfeld is a less introspective and more slippery figure than Robert McNamara was in Morris' Oscar winning The Fog of War, but the results are no less disturbing or enthralling. One's opinion of this film may depend heavily on how one feels about the Iraq war, but the portrait of Rumsfeld presented here is a disarming study in self delusion and Machiavellian political intrigue. 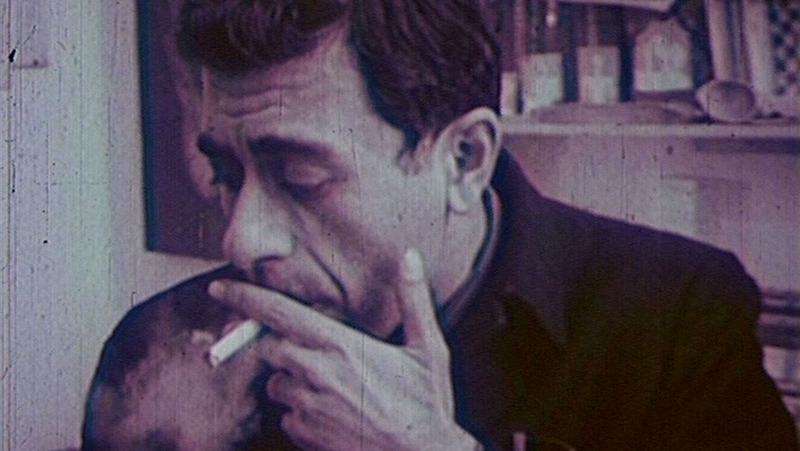 There is something indescribably beautiful about Mitra Farahani's documentary about famed Iranian artist, Bahman Mohassess. Having disappeared from public life for decades, fleeing Iran due to the controversial nature of his work and his own homosexuality, Farahani found Mohassess in Italy, and discovered that he had destroyed much of his own work in despair for humanity. A fascinating and deeply moving look at an artist's last days, as Farahani befriends the legendary artists and commissions one final masterpiece. Mohassess is an intriguing and enigmatic figure, instantly beguiling and mysterious, who exults great influence over all those around him, including the film being made about him. It's an extraordinarily singular work about an extraordinary man, both elegiac and rapturous. Pilgrims to a Hindu temple high in the Himalayan mountains of Nepal travel to and from the sacred site of the goddess Bhagwati via cable car in Stephanie Spray and Pacho Velez's quietly mesmerizing documentary, Manakamana. The filmmakers follow their subjects through a series of uninterrupted takes as the gondola floats to and from the temple, carrying worshippers, tourists, and even animal sacrifices up and down the mountain. We only catch glimpses of the breathtaking landscape around them, but Spray and Velez turn this deceptively simple piece of ethnographic cinema into something disarmingly spiritual. It's a unique and observant experience, at once meditative and enthralling, offering brief peeks and insights into the lives of others a world away. It's really kind of impossible to be objective about this film. 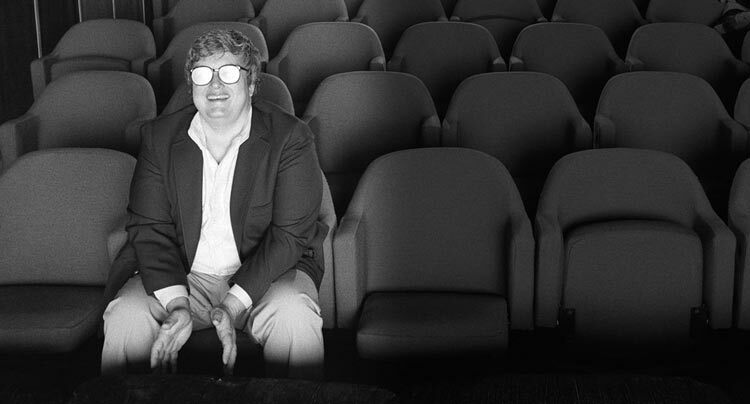 Roger Ebert was an inspiration to all of us film critics and film buffs. But Steve James' documentary, chronicling Ebert's rise as the critic for the Chicago Sun-Times, his tenure on television with Gene Siskel, and his subsequent battle with cancer, is more than just your typical bio-doc. It's not a film of mourning, it's a film of celebration. It's not a lionization, it's an exploration. Life Itself is a loving, honest, and clear eyed portrait of a great man that isn't afraid to display his warts too. Two thumbs up. 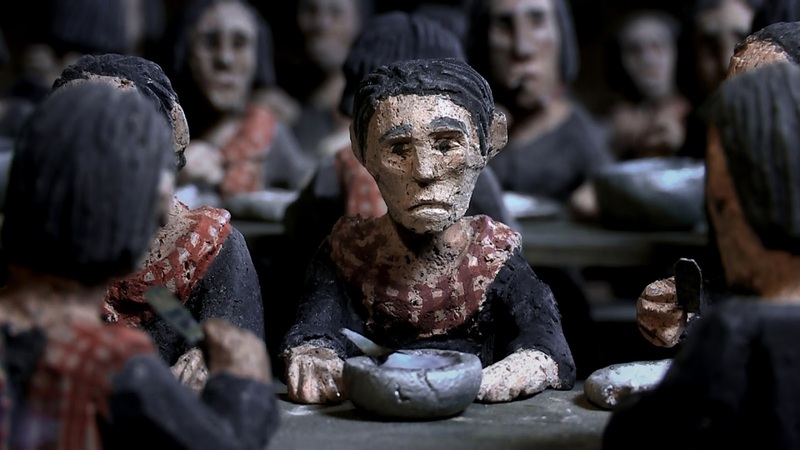 The atrocities of the Khmer Rouge in Cambodia comes to life with clay figurines standing in for the real people in Rithy Panh's autobiographical documentary, The Missing Picture, a 2013 Oscar nominee for Best Foreign Language Film. Panh uses the expressionless figures to fill in the "missing pictures" of one of the darkest chapters in human history, and the results are both riveting and devastating. It's a risky formal choice, but it pays off, giving us a deeply painful and wholly unique glimpse into a the Khmer Rouge's bloody reign of terror. Frederick Wiseman turns his characteristically observant eye onto London's National Gallery art museum, giving us the next best thing to visiting it in person. At nearly three hours long, National Gallery is an immersive experience, like all of Wiseman's films, examining all aspects of the daily operations of the museum, from tours and lectures by art experts, to art demonstrations for the blind, to figure drawing classes for the public, no stone is left unturned. While the behind the scenes administration meetings aren't quite as riveting as they are in his other recent films like La Danse, Crazy Horse, and At Berkeley, they do reveal the interesting and often sad aspect of commercialism in art. Still, when Wiseman focuses on the art itself, National Gallery attains a kind of religious reverence, and when he brings ballet dancers into the gallery at the end - moving artists watched my figures whose stories we come to realize aren't as frozen in time as we might think, it becomes something completely sublime. 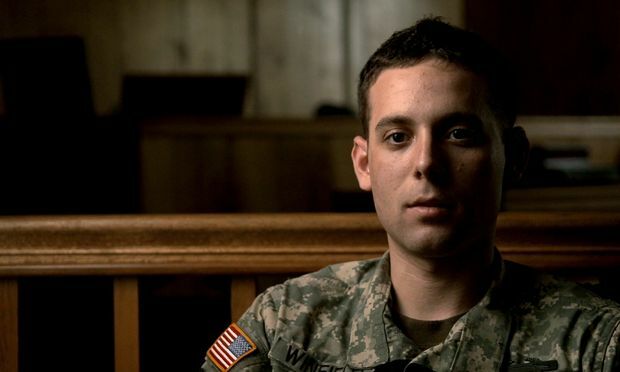 A harrowing documentary about a group of US soldiers in Afghanistan who killed Afghans for sport, masking their crimes by framing their victims as enemy combatants, and the whistleblower who tried to speak up but got blamed for the murders anyway. Explosive stuff, a frightening look at a culture of killing run amok in the hands of a undetected psychopath. Presents a kind of ultimate "what would you do" wrapped up in a no-win situation. This one is hard to shake. A group of Danish scientists and artists head into uncharted fjords once blocked by ice to explore a world heretofore unseen by Western eyes. This gorgeous and often breathtaking documentary examines not only their pioneering spirit, but their philosophical musings as their mission reveals to them the fleeting nature of life in the face of such ancient mystery. A simple doc, and it could have gone deeper perhaps, but it's a fascinating one nonetheless.